Anyone can face the nightmare of losing documents, photos and other files due to system issues, viruses or accidental deletion. After realizing that your valuable data is gone, you will probably look for a way to get it back. Thankfully, it is possible to recover your files and in this article, we will focus on one of the solutions available for this purpose. We are talking about Remo Recover, a software for Windows that is designed to help you to recover files that have been permanently lost or deleted. It works with data that you lost from your Windows PC or from a external storage device. 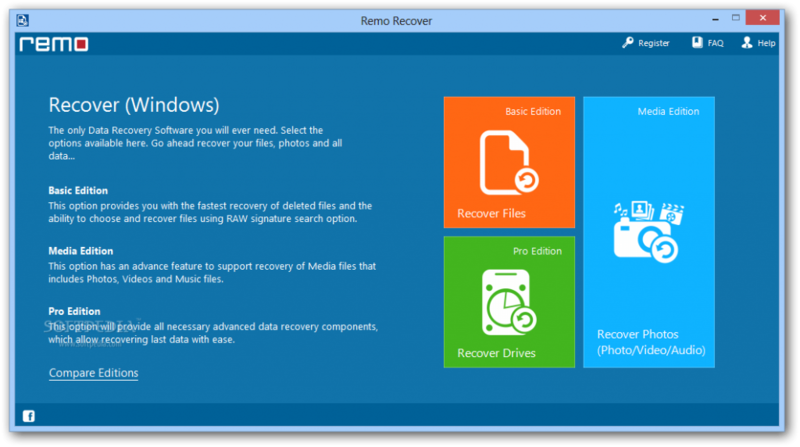 Let’s find out more about this Windows file recovery software created by Remo. What does Remo Recover offer? 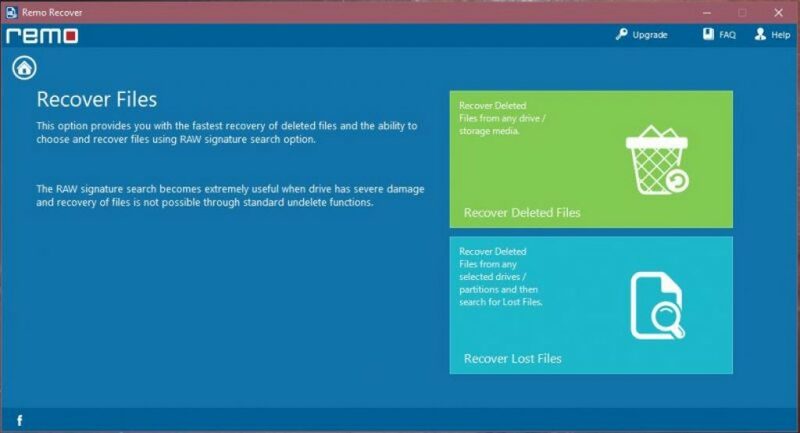 Remo Recover is not only available for Windows. There is also a version for Mac and while we will focus on the Windows edition, the two options work in a similar way. The aim of Remo Recover is to help you to get back files that have been deleted by mistake or lost due to other reasons. It allows you to recover files that have been deleted from the recycle bin and it can also help you to recover data from formatted Windows, partitions from RAID drives, re-partitioned hard drives and re-formatted partitions. Remo Recover Software works well on most modern computers using Windows, but there are some system requirements that you should keep in mind. It works with Windows XP, Vista, 7, 8 and 10. Windows Server 2003 and Windows Server 2008 are also supported. Your PC has to feature an AMD or Intel processor with at least 1.2 GHz or above. You should be able to run the software with RAM 512MB, but 1GB is recommended. Your computer should have free disk space of minimum 50MB, but 100MB is even better since it will allow you to install the software and save the recovered files without issues. You also need a screen resolution of 1024 x 786 and a graphics adapter card with 64MB of memory to get the best results. 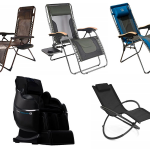 Remo Recover Versions – Which one should you go for? You will find three different versions available: Basic, Media and Pro. The Basic version costs $40 USD and it allows you to recover deleted files even after Shift-Del has been pressed. You will also be able to recover files emptied from the recycle bin. If you are mainly interested in getting back deleted files, the Basic version will be enough. The Media version offers all the features found on the Basic version, as well as additional features like the possibility of recovering professional RAW Photo files, recovering photos, videos and music files. You can also create disk images to skip bad sectors and recover data from disk images. The Media version costs $50. The most comprehensive solution as you can imagine is the Pro edition. The price for this version is $100 and it supports all the features that we previously mentioned, as well as advanced functionality like recovering data from re-partitioned drives, recovering data formatted and re-formatted partitions. It is the ideal choice for getting back data that was lost from lost/missing partitions and in cases when a partition is deleted or corrupt. You can easily recover deleted files with this convenient software. After selecting a version, you can download and install the app in just a few minutes. The interface is user-friendly and it displays three options: Recover Files, Recover Drives and Recover Photos, which refers to media files in general. When you select Recover Files, your system is scanned and you will see your deleted files. If you need to recover multimedia files, select the Recover Photos options. It focuses on looking for multimedia files, but to be able to use it, you need Remo Recover’s Media Version. The last choice is Recover Drives, which allows you to recover data from an accidentally deleted or formatted partition. For this, you need the Pro version. In Recover Files, you will have the possibility of choosing between Recover Deleted Files and Recover Lost Files. In the first case, the drive is scanned for any deleted files and you will get faster results than with the Recover Lost Files option. This is because when you choose Recover Lost Files, a detailed scan is performed. This option searches for both deleted and lost files. You can select if you want to see the deleted files only and mark the ones that you wish to recover. Then, you can choose the destination in which you want to save the file. Just keep in mind that in order to get the best results, you should save the files in a different drive than the one from which they were deleted from. You will get a variety of options during the recovery process, including the chance to compress the recovered data if there is not enough space in the recovery drive. Once the recovery process is completed, the data recovered can be found on the drive and folder you selected. When you select Recover Lost Files, you will see that there are even more options to choose from. It is possible to look for full storage devices or you can choose drives/partitions. After selecting the partition or storage device, just click on next. You can select the file formats that you want Remo Recover to search for. By narrowing down the file formats you want to scan for, you can get results much faster. However, if preferred, you can let the software look for all types of files, although the search will take longer. Recover Photos (Photo/Video/Audio) is the option that will allow you to retrieve photos and videos from memory card, SD card and flash card. This is only available with the Media and Pro Editions. Here there are also two options available. You can recover deleted files or recover lost photos. In the first case, Remo will only look for deleted files and in the second case, it will look for deleted files and then lost files. Once you have selected the device from which you want to recover the files, you will be able to choose the specific file types. The final option is the Recover Drives, which is supported by the Pro Edition. Here, you can select between Partition Recovery and Formatted/Reformatted Recovery. The first option gives you the chance to recover data from a partition that was accidentally deleted, or a partition that is corrupted, or even completely missing. The Formatted/Reformatted Recovery gives you the possibility of recovering data from a drive that has been completely formatted, whether it was accidentally or after reinstalling a new operating system. To start, you need to select the option Recover Drives from the main screen. After that, you can select Formatted/Reformatted Recovery and select the Partitions/Drives from where you need to recover the data from, then click Next. Remo will scan the partition that you selected and will show you a list of the previous file system. You can select the file system from which you want to recover the data and click on Next. You will see all the files types. Then, select the file types that you want to retrieve. 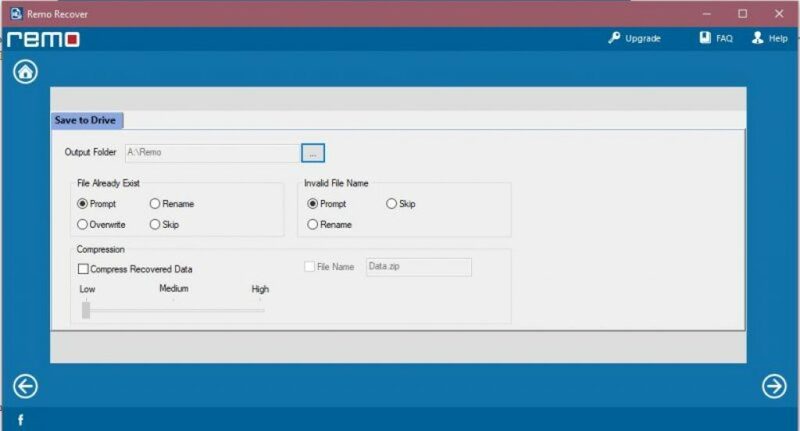 If the specific file type is not found, you can add it by clicking on Add File Type, an option that is located on the left top corner of the screen. If needed, you can skip this option and recover the entire data. Remo Recover has proven to be effective when it comes to recovering deleted files. 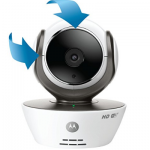 It can scan your system quickly and it will allow you to recover all your data. The Basic edition is enough for recovering documents, but if you want to get back photos, videos and audio tracks, and enjoy advanced features, consider the Media and Pro versions. For most users, the Media version, which is available for $50 would be the most convenient option. We recommend Remo Recover due to its easy to use interface and the fact that there are three versions that suit different needs.